Crisis Core: Final Fantasy VII[a] is an action role-playing game developed and published by Square Enix for the PlayStation Portable. First released in 2007, the game is a prequel to the 1997 video game Final Fantasy VII and is a part of the metaseries Compilation of Final Fantasy VII, which includes other products related to the original game. The game primarily focuses on Zack Fair, a young member of the paramilitary organization SOLDIER, who is assigned to look for the missing SOLDIER Genesis Rhapsodos. As he searches for Genesis, Zack discovers Genesis' origin, Project G, and how it is related to two other high-ranking SOLDIERs; Sephiroth and Angeal Hewley. The game's storyline takes the player from the war between the megacorporation Shinra and the people of Wutai to the events in Nibelheim, ending just before the beginning of Final Fantasy VII. The game was directed by Hajime Tabata, with Tetsuya Nomura serving as character designer. Before development, the Square Enix staff initially planned to make a PlayStation Portable port of the mobile phone game Before Crisis: Final Fantasy VII, but after discussion, they decided to create a new game. The plot is based on a scenario Kazushige Nojima had in mind when working on Final Fantasy VII. Crisis Core enjoyed strong sales, selling over three million units worldwide. Critical reception was generally positive. Crisis Core uses a real-time combat system in which the player can move Zack around, initiate attacks, special abilities and spells, use items, and block or dodge attacks. Zack's abilities in battle are set by what materia he currently has equipped. Up to six materia can be equipped at any one time, which can impart special attacks, magic spells, or passive bonuses such as health increases or the ability to display the statistics of the current foe in combat. Materia are gained throughout the game through exploration, as rewards from side missions, as spoils of battle, or from shops. Materia can be fused together to make more powerful versions with improved bonuses; for example, fusing an attack materia with an elemental magic materia can create a new attack skill materia that inflicts elemental magic damage in addition to physical damage. Special items collected in the game can also be used in materia fusion to further increase the materia's power. Crisis Core uses a slot machine-like mechanic to affect the combat system. The "Digital Mind Wave" (DMW) features two sets of three spinning wheels; one set with the numbers one through seven, and another with pictures of characters that Zack befriends during the game. The DMW automatically spins as long as Zack has at least 10 "Soldier Points", which are awarded to the player by defeating foes. If the DMW stops with the same three pictures lined up, Zack will then perform an appropriate Limit Break attack that can greatly harm an enemy or significantly heal Zack. Additionally, in this case, if the number slots give two or more of the same number, the materia in that slot will power up. Should the numbers line up as "777", Zack will gain an experience level, increasing his health, soldier points, and ability points. If there is no match in the pictures, matching numbers on the slots will grant temporary bonuses, such as limited invincibility or zero-cost use of skills and abilities. The chance of matching pictures is tied to the current Limit level, which is raised by taking damage in battle and reduced upon successful battles, and after certain storyline events. After collecting certain items in the game, the pictures on the DMW may also randomly change to summonable creatures, which have more destructive and beneficial Limit Breaks should the pictures match up. Following completion of the game, the player will obtain a New Game Plus option. The North American and European releases of Crisis Core also have an added difficulty mode, which increases the power and health of enemies. Left to right, Genesis, Angeal, Zack, Sephiroth, Tseng, and Cloud. Crisis Core begins seven years before the events of Final Fantasy VII, and many characters from that game and other related works appear. However, the primary characters in the game are from either SOLDIER (the private army of Shinra), or from their elite branch of operatives, the Turks. The main protagonist is Zack Fair, a young and friendly SOLDIER. His mentor and friend is Angeal Hewley, a 1st class SOLDIER who is also friends with fellow SOLDIER members Sephiroth and Genesis, who ultimately becomes the game's primary antagonist. The SOLDIER operatives work under Director Lazard, the illegitimate son of President Shinra. Zack is also friends with the Turks, particularly their leader Tseng, and one of their female operatives, Cissnei. During the course of the game, Zack encounters and befriends Aerith, a young woman tending flowers from a ruined church in the Midgar slums. He also befriends Cloud, a Shinra infantryman. SOLDIERs Zack Fair and Angeal Hewley are dispatched to Wutai to support the Shinra war effort. However, during the fighting, Angeal disappears, and Zack is appointed to find both him and an already missing SOLDIER, Genesis Rhapsodos. Zack, accompanied by Tseng, finds that Genesis and Angeal have betrayed Shinra, and, as such, Zack and Sephiroth are assigned to kill them. With help from Dr. Hollander, a scientist with a vendetta against Shinra, Genesis creates an army of clones to attack Shinra headquarters. After the forces are defeated, Zack and Sephiroth track down Hollander's secret laboratory, and learn that Hollander had used both Genesis and Angeal as part of Project G, an attempt to create soldiers infused with Jenova cells. Sephiroth faces off against Genesis, whilst Zack pursues Hollander. However, Angeal is intent on keeping Hollander alive as he wants to find a way to return to normal, and so he prevents Zack from killing the doctor by knocking Zack into the slums of Midgar. Zack recovers to find Aerith tending to him. After they spend some time together, Zack returns to SOLDIER headquarters which is under attack by Genesis. On his way, Zack allies with Angeal, who has developed doubts about his and Genesis' actions. As Angeal, Zack and Sephiroth protect the headquarters, Angeal confronts Genesis, but both disappear. Zack is subsequently ordered to investigate Modeoheim, where Genesis has been spotted. En route, Zack meets Shinra infantryman Cloud, and they become friends. Near Modeoheim, Zack encounters and defeats Genesis, who appears to commit suicide by throwing himself into the depths of a reactor. Zack travels on to Modeoheim and finds both Angeal and Hollander. Angeal summons and fuses with his own clones, and mutates into a monster, forcing Zack to kill him. Before he dies, Angeal gives Zack his Buster Sword, telling him to protect his honor. Whilst Shinra continues the pursuit of Hollander, it emerges that Genesis is still alive and still producing clones, some of which have appeared in Midgar, forcing Zack to return so as to protect Aerith. He leaves her with an Angeal clone that seems to be protecting her, and then travels with Sephiroth and Cloud to investigate a Mako reactor near Nibelheim. While checking the reactor, Sephiroth learns from Genesis that he was an experiment, implanted with cells of Jenova before he was born. Genesis explains that his body is degrading, and he needs Sephiroth's cells to survive, but Sephiroth refuses. Overcome with the recent revelations regarding his past, Sephiroth locks himself in Nibelheim Mansion, and a week later, sets Nibelheim ablaze and goes to the Mako reactor to take Jenova's body. When Zack fails to stop him, Cloud throws him into the Lifestream below the reactor. Zack awakes to find that Shinra has covered-up the Nibelheim incident and he and Cloud have become part of Professor Hojo's experiments on Jenova cells and Mako exposure. However, Zack is able to escape, taking the catatonic Cloud with him. They immediately become high priority targets for Shinra. While fleeing, Zack learns that Genesis and Hollander are still trying to stabilize Genesis' mutation, and they now plan to use Cloud's cells, as he is the only one with Sephiroth's genes. Hollander tries to get to Cloud, but is killed by Zack. Zack then finds Director Lazard who, now mutated into an Angeal clone, has turned against Shinra. Lazard directs Zack to the remains of Banora to find Genesis. Zack defeats Genesis, but upon returning he discovers that Shinra have located them, and killed Lazard. The Angeal clone that was left guarding Aerith also arrives, but he too is killed. Zack discovers a note he had carried from Aerith, and learns he and Cloud had been subjected to Hojo's experiments for four years. Zack and Cloud are able to escape, heading towards Midgar, whilst Genesis' body is collected by two soldiers: Nero the Sable and Weiss the Immaculate of Deepground. Shinra pursue Zack and Cloud, and catch up with them just outside Midgar. Leaving the still semi-conscious Cloud hidden away, Zack fights off an enormous number of Shinra troops, but is ultimately fatally wounded. Cloud manages to crawl to Zack's body after Shinra has left, and Zack, in his dying breath, bequeaths the Buster Sword to Cloud, as Angeal had done to him. Cloud then begins to walk to Midgar while Zack is welcomed into the Lifestream by Angeal. The epilogue recreates the opening scenes of Final Fantasy VII, as Cloud, his memories confused due to Mako poisoning, claims to be a former SOLDIER. Hajime Tabata was chosen to be director and consulted with Tetsuya Nomura and Yoshinori Kitase on the title to create. The idea of Crisis Core originated when Hajime Tabata was chosen as director for an upcoming Final Fantasy title for the PlayStation Portable. After discussion with Tetsuya Nomura and Yoshinori Kitase, Tabata decided that the game should be another installment in the Compilation of Final Fantasy VII, feeling that the pressure of producing a game from a popular series would motivate both the staff and himself. The original idea was to make a PlayStation Portable port of Before Crisis: Final Fantasy VII, as it had been released for mobile-phones and the staff wanted to expand it. However, after deciding Zack was going to be the protagonist of the new game, the idea of a Before Crisis port was cancelled. Kitase wanted to make sure the game exceeded fans' expectations, so he made sure that rather than making it as a "tribute" to Final Fantasy VII, it shared important links with other titles from Compilation of Final Fantasy VII. Similarly, Tabata explained that he and the staff were very wary throughout production of altering the "fans' perception of Final Fantasy VII's iconic characters." For example, one of the main background events from Final Fantasy VII, Nibelheim's destruction, had been changed somewhat in the OVA Last Order: Final Fantasy VII, and due to negative fan reaction to these change, the game staff decided not to make any major changes in Crisis Core. However, they also operated on the principal that this game dealt with those characters' "younger days," so that new elements could be added without changing the characters too much. One of the primary reasons Zack was chosen as protagonist was because his fate was predetermined. Kitase stated that Zack's story had "been cooking for 10 years" as, despite being a minor character in Final Fantasy VII, Nomura had already developed conceptual artwork, and Kazushige Nojima had already worked out a story. The game was originally meant to have more scenes depicting Zack and Cloud's flight to Midgar, so as to expand on their friendship and unrealized plans, but these scenes were removed due to UMD limitations, and so the staff focused more on Zack's background as a formidable warrior. The addition of the character of Genesis to the story came about after discussions between producer Hideki Imaizumi and the character's Japanese voice actor, Gackt, as Imaizumi had been impressed with the characters' brief appearance in the secret ending to Dirge of Cerberus: Final Fantasy VII, and felt there was great room to expand the character. Sephiroth's role was specifically written to give him a "much more human side." The game's logo represents various main characters; the blue sky symbolizes Zack; the white feather symbolizes Angeal; and the water symbolizes Aerith. Crisis Core was first envisioned as an action game, but because almost all of the staff had more experience designing RPGs, they decided to modify it, making battles more similar to the ones found in standard RPGs. However, they also added more action orientated elements to the battles, resulting in the game becoming more of an action RPG than a traditional RPG. The Materia system was designed so that players could choose between "RPG-oriented enhancements" and "action-oriented enhancements," as well as to help with the game's balance. Additionally, the Digital Mind Wave system (DMW) was added to give gameplay an element of luck, as well as to prevent combat feeling repetitive. Nomura and Kitase wanted to include this in the game because of their enthusiasm for pachinko machines. The game was first announced at the 2004 E3, prior to the release of the PlayStation Portable. Its first trailer consisted of clips from Last Order. In an interview for Famitsu, Nomura stated that a playable demo of the game would be ready by the end of 2006. However, there was no mention of whether the demo would be openly available to PSP owners. By May 2005, Nomura announced that he had designed the concept art for the game, with the gameplay set to be "interesting" and "previously unseen." In May 2007, both Nomura and Tabata revealed that the game was 90% complete, and that completing its story mode and all side quests would take about 100 hours of gameplay. A playable demo was made available at Jump Festa '06. The game's soundtrack was released on October 10, 2007, containing fifty-five songs on two discs. The music was composed by Takeharu Ishimoto, with a few tracks orchestrated by Kazuhiko Toyama. The soundtrack also included remixes of various music from Final Fantasy VII composed by Nobuo Uematsu and Last Order: Final Fantasy VII, which was also composed by Ishimoto. The game's ending theme, "Why", was performed by Ayaka. The addition of "Why" was revealed by Square Enix in May 2007, with Ayaka stating that she was fascinated by Crisis Core's story and felt she "would like to deliver "Why" alongside Zack's fate to the hearts of many people." The single "Why" was released in Japan on September 5, 2007. On September 13, 2007 Square Enix released a special edition bundle for Crisis Core; a special silver colored PlayStation Portable Slim and Lite with Final Fantasy VII's 10th Anniversary insignia on the back and on one side. As with many limited edition Final Fantasy VII-related releases by Square Enix, the bundle was limited to 77,777 units. On December 17, 2007 it was announced that Crisis Core would be released in North America on March 25, 2008. If pre-ordered from certain retailers, such as GameStop, the buyer may receive a Shinra UMD case, depending on how long supplies lasted; if pre-ordered from Best Buy, the buyer may receive Crisis Core with a metallic foil cover. Two versions of the game were released in Europe: a standard edition, and a limited edition, which was only available online, and then only when pre-ordered. This limited edition included special slipcase packaging and a book of promotional CG artwork entitled The Art of Crisis Core: Final Fantasy VII. In Europe, a bundle containing the game and the limited edition Crisis Core-engraved silver PlayStation Portable was released on June 20. As with several games from the company, Square released an Ultimania guidebook in Japan, on October 18, 2007. 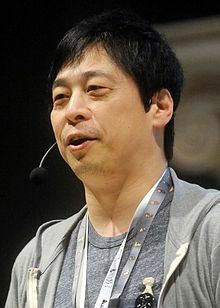 After Crisis Core's release, Kitase expressed surprised at the quality of the cutscenes, to the point where he felt it could almost be a PlayStation 2 game. He also enjoyed the game's ending, surprised by how moving Zack's story became. Crisis Core has received generally positive reviews. At Metacritic the score is 83 out of 100. With individual scores of 9/9/8/9, the game received an overall rating of 35 out of 40 from Japanese gaming magazine Famitsu. GameSpot awarded it an "Editor's Choice" label, praising its storyline, combat system and its presentation, stating that "Crisis Core is an exciting and poignant journey that every fan of role-playing games should take." IGN's Ryan Clements praised its differences from other RPGs, due to its focus on Zack's growth and his relationship with the SOLDIERs. He stated "Crisis Core is a great game and, barring a few minor issues here and there, will not disappoint." It also received a place amongst the "Editor's Choice" gallery of recommended games for the PSP platform. GameSpy also gave it a good review, stating it "is equal parts tribute and original, marrying classic design choices with refreshingly new techniques, harmoniously bringing together something old with something new." Gamespy also commented that although some players may dislike Zack, "you'll have to be pretty jaded for the character not to grow on you as you progress through the adventure." VideoGamer.com gave an overall score of 9, finding its fighting system "addictive", and arguing that its CGI scenes had a similar quality to the ones from Final Fantasy VII: Advent Children. Similarly, GamePro gave it a positive review, calling it the "best looking PSP title," and praising how it incorporated elements from the Compilation, and at the same time created new aspects. GamesRadar's AJ Glasser stated that with the DMW system, the gameplay could be easy, causing the "rare gamer" to try to play it in Hard Mode. Glasser also found the game likeable enough so that even gamers who dislike the Final Fantasy VII series may enjoy it. Play's Samuel Roberts called it the best game of 2008. Many reviews also commented on the game's relationship with Final Fantasy VII. 1UP.com called it one of the best prequels of all time, arguing that it "does a better job of putting players in FFVII's world than even the original game did." While GameTrailers stated that Crisis Core "doesn't take the easy way out and photocopy the source," they found it, unlike Dirge of Cerberus, to be appealing. Computer and Video Games mentioned that despite the game's main story only lasting 12 hours, the side-quests helped expand the game's length. They further praised the battle system, claiming "[it] never becomes tiresome," and the fact that some of the weak points from Final Fantasy VII ("lengthy wandering, and an overlong center") were not issues in this game. The game did receive some negative reviews, however. Despite calling it the best Final Fantasy VII spin-off, Eurogamer criticized that "for the twenty-six, twenty-eight, thirty-year-olds who it's aimed at, the game has little to offer beyond polished sentimentality." Although PALGN called the DMW system a "handy tool", they also felt it was the game's weakest point. X-Play gave the game a 2/5, complaining about the unskippable cutscenes, poor dialogue, repetitive gameplay, and a weak plot. On April Fools' Day, in response to criticism for their original review, they "decided to give the game a second look and give it a re-review, this time with a clear unbiased perspective," sarcastically dubbing over the original and giving it an impossibly high 6/5. Crisis Core has also received a number of awards from different publications. It was nominated by GameSpot for the "Best of 2008" awards, in the "Best Story", "Best RPG Game" and "Best PSP Game" categories, winning "Best PSP Game". It was also listed as the tenth best PSP game of all the time by IGN. Four IGN articles concerning the game were in "The Top 10 PSP Stories of 2008", with the review article listed at number one. 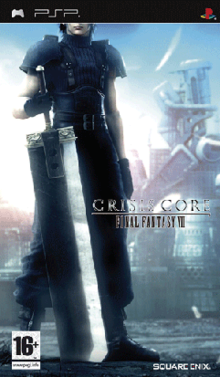 In IGN's Best of 2008, Crisis Core won in the categories "Best RPG" and "Best Story for the PSP". Videogamer.com placed it fifteenth and fourth in their articles "Best Games of 2008" and "Top 10 PlayStation exclusives of 2008", respectively. GamePro featured it as one of the five games PSP gamers should play, one of the 31 best PSP titles in 2009, and as the seventh best video game prequel. It was also voted to third place in the Dengeki poll of most tear-inducing games of all time. In 2011, it was voted second place in the Famitsu readers' poll on the same topic. Crisis Core sold 350,000 copies in Japan on its release date, including the 77,777 Limited Edition PSP/Crisis Core bundles. In November 2007, Square Enix announced that Crisis Core was its best-selling game across all regions from April through September, with 710,000 copies sold in Japan. Selling 790,705 units as of August 2008, it became the third best-selling game for the PSP in Japan. In March 2008, Crisis Core sold 301,600 copies in its first month of release in the United States, behind the sales of God of War: Chains of Olympus, which sold 340,500 copies, making Crisis Core the second best-selling game for the PSP during the month of March and the sixth best-selling game overall. As of March 31, 2009, Square Enix announced that Crisis Core had sold 3.1 million units worldwide, with 830,000 of those sales coming from Japan. About 840,000 units of the game, including 550,000 in Europe, were sold during Square Enix's 2009 fiscal year. In response to the game's sales, Square Enix labeled Crisis Core their best PSP game of the year, calling it "an incredible success." Doug Bone, Square Enix's UK sales director, called it "the must-have PSP game of 2008." ^ Japanese: クライシス コア -ファイナルファンタジーVII-, Hepburn: Kuraishisu Koa -Fainaru Fantajī Sebun-? ^ "Square Enix announces 2008 North American line-up". Gaming Age. Archived from the original on October 21, 2011. Retrieved December 17, 2007. ^ "GAME UK: Final Fantasy VII Crisis Core Special Edition". GAME UK. Archived from the original on January 24, 2009. Retrieved March 27, 2008. ^ a b Gantayat, Anoop (2006). "Hands On: Final Fantasy VII Crisis Core". IGN. Archived from the original on November 2, 2012. Retrieved March 9, 2007. ^ Suzaku (2007). "New Crisis Core details". Crisis-Core. Archived from the original on June 3, 2007. Retrieved March 9, 2007. ^ Suzaku (2007). "New Crisis Core Scans from Famitsu". Crisis-Core.net. Archived from the original on July 23, 2007. Retrieved June 12, 2007. ^ a b c Clements, Ryan. "IGN: Crisis Core: Final Fantasy VII Review". IGN. Archived from the original on November 28, 2012. Retrieved February 13, 2009. ^ "Game Grep - Crisis Core Review". Gamegrep. September 5, 2007. Archived from the original on September 7, 2007. Retrieved January 6, 2007. ^ Clements, Ryan. "Crisis Core: Character Profiles". IGN. p. 1. Archived from the original on November 2, 2012. Retrieved July 24, 2010. ^ Clements, Ryan. "Crisis Core: Character Profiles". IGN. p. 2. Archived from the original on November 2, 2012. Retrieved July 24, 2010. ^ Clements, Ryan. "Crisis Core: Character Profiles". IGN. p. 3. Archived from the original on November 2, 2012. Retrieved July 24, 2010. ^ Clements, Ryan. "Crisis Core: Character Profiles Revisited". IGN. p. 1. Archived from the original on January 26, 2016. Retrieved July 24, 2010. ^ Clements, Ryan. "Crisis Core: Character Profiles Revisited". IGN. p. 2. Archived from the original on November 2, 2012. Retrieved July 24, 2010. ^ Square Enix (August 24, 2008). Crisis Core: Final Fantasy VII. PlayStation Portable. Lazard: This war is currently stuck in limbo. That's why we've decided to send you. / Zack: Uh, to Wutai? / Lazard: Yes this war has gone long enough. ^ Square Enix (August 24, 2008). Crisis Core: Final Fantasy VII. PlayStation Portable. Sephiroth: Where is Angeal? / Zack: I thought he was fighting around here... / 'Sephiroth: Humph. So, he's gone, too. ^ Square Enix (August 24, 2008). Crisis Core: Final Fantasy VII. PlayStation Portable. Lazard: I want you to go to the hometown of our missing SOLDIER 1st Class, Genesis. ^ Square Enix (August 24, 2008). Crisis Core: Final Fantasy VII. PlayStation Portable. Tseng: There's no time. We have to leave now /.../ Tseng: All evidence of misconduct must be erased. The company rules. An airstrike will neutralize this town. ^ Square Enix (August 24, 2008). Crisis Core: Final Fantasy VII. PlayStation Portable. Lazard: The company has decided eliminate Genesis and his cohorts. This includes Angeal as well. /.../ Sephiroth: They believe your emotions will hamper your judgement. / Zack: Well, of course! / Sephiroth: That's why I'm going too. ^ Square Enix (August 24, 2008). Crisis Core: Final Fantasy VII. PlayStation Portable. Zack: The intruders are Genesis copies. / Sephiroth: Hollander must be behind this. /.../ Sephiroth: Hollander lost his bid for the leadership of the Science Department. He has born a grudge against Shinra ever since. Revenge is most likely his objective. ^ Square Enix (August 24, 2008). Crisis Core: Final Fantasy VII. PlayStation Portable. Sephiroth: Hollander's secret laboratory is down this way, apparently. ^ Square Enix (August 24, 2008). Crisis Core: Final Fantasy VII. PlayStation Portable. Sephiroth: Project G gave birth to the man we know as Genesis. ^ Square Enix (August 24, 2008). Crisis Core: Final Fantasy VII. PlayStation Portable. Genesis: You won't take Hollander / Sephiroth: Zack! Go after Hollander! ^ Square Enix (August 24, 2008). Crisis Core: Final Fantasy VII. PlayStation Portable. Zack: Working for Hollander now? / ... / Angeal: I've become a monster. /.../ Angeal: Angels dream of one thing. / Zack: Please tell me. / Angeal: To be human. /.../ Angeal: Defend yourself! ^ Square Enix (August 24, 2008). Crisis Core: Final Fantasy VII. PlayStation Portable. Aerith: You fell from the sky. Scared me. / Zack: So you saved me, huh? ^ Square Enix (August 24, 2008). Crisis Core: Final Fantasy VII. PlayStation Portable. Sephiroth: Zack, return to the Shinra building now. Genesis has attacked us. / Zack: On my way. I'm sorry but duty calls. ^ Square Enix (August 24, 2008). Crisis Core: Final Fantasy VII. PlayStation Portable. Angeal: Zack, join my battle. Our enemy is all that creates suffering. / Zack: All right... I'll help you. ^ Square Enix (August 24, 2008). Crisis Core: Final Fantasy VII. PlayStation Portable. Angeal: Genesis and Hollander are in Modeoheim. /.../ Tseng: Zack, I need you in Modeoheim. ^ Square Enix (August 24, 2008). Crisis Core: Final Fantasy VII. PlayStation Portable. Zack: Good news, Tseng! Me and... / Cloud: Cloud / Zack: Me and Cloud here are both backwater experts. Oh yeah! ^ Square Enix (August 24, 2008). Crisis Core: Final Fantasy VII. PlayStation Portable. Sephiroth: They've been sighted in Midgar as well / Zack: I see. / Sephiroth: The slums too. Permission to return... granted. ^ Square Enix (August 24, 2008). Crisis Core: Final Fantasy VII. PlayStation Portable. Zack: By the way, where are we going? / Sephiroth: To Nibelheim. ^ Square Enix (August 24, 2008). Crisis Core: Final Fantasy VII. PlayStation Portable. Genesis: The Jenova Project was the term used for all experiments relating to the use of Jenova's cells. / Sephiroth: My mother's... cells? /.../ Genesis: Jenova was excavated from a 2000-year-old rock layer. She's a monster. ^ Square Enix (August 24, 2008). Crisis Core: Final Fantasy VII. PlayStation Portable. Genesis: Sephiroth... I need your help. My body is continuing to degrade. /.../ Genesis: Therefore, your body cannot degrade. Share your cells with me. ^ Square Enix (August 24, 2008). Crisis Core: Final Fantasy VII. PlayStation Portable. Cissnei: He... he's the other example they collected at Nibelheim. /.../Zack: Mako addiction. Severe case. / Cissnei: The experiment, isn't it? ^ Square Enix (August 24, 2008). Crisis Core: Final Fantasy VII. PlayStation Portable. Genesis: The gift of the goddess... A pure S cell sample will stop the degradation process. ^ Square Enix (August 24, 2008). Crisis Core: Final Fantasy VII. PlayStation Portable. Hollander: That infantryman carries within his body the last pure S-cells in the world. ^ Square Enix (August 24, 2008). Crisis Core: Final Fantasy VII. PlayStation Portable. Lazard: I'm just and Angeal copy... It's Lazard. ^ Square Enix (August 24, 2008). Crisis Core: Final Fantasy VII. PlayStation Portable. Lazard: Shinra attacked us / Zack: Save your strength / Lazard: I got some help from him... over there./.../ Zack: Director! Thank you. ^ Square Enix (August 24, 2008). Crisis Core: Final Fantasy VII. PlayStation Portable. Aerith's letter: I wish I knew where were you. It's already been four years now. /.../ Zack: Aerith, wait for me. ^ Square Enix (August 24, 2008). Crisis Core: Final Fantasy VII. PlayStation Portable. Zack: Continue living. You are proof that I existed. My dreams and pride, I give it all to you. / Cloud: I am proof that you existed. ^ Square Enix (August 24, 2008). Crisis Core: Final Fantasy VII. PlayStation Portable. Cloud: My name is Cloud. SOLDIER 1st Class. ^ a b c d Mielke, James (March 19, 2008). "Final Fantasy VII: Crisis Core (PSP) Preview". 1UP.com. Archived from the original on 2016-09-21. Retrieved July 22, 2010. ^ a b c d McCarthy, Dave. "Crisis Core: Final Fantasy VII UK Interview". IGN. p. 1. Archived from the original on October 16, 2013. Retrieved March 8, 2009. ^ a b Gantayat, Anoop (October 14, 2010). "The 3rd Birthday Has Skippable Event Scenes". Amdriasang. Archived from the original on December 25, 2012. Retrieved October 14, 2010. ^ a b McCarthy, Dave. "Crisis Core: Final Fantasy VII UK Interview". IGN. p. 2. Archived from the original on October 25, 2012. Retrieved March 8, 2009. ^ Boyke, Edward (May 18, 2005). "Square Enix's E3 Press Conference Highlights". The Next Level. Archived from the original on July 31, 2008. Retrieved September 7, 2007. ^ "Crisis Core: Final Fantasy VII playable demo by the end of 2006". Qj.net. 2006. Archived from the original on February 12, 2007. Retrieved November 30, 2006. ^ Gantayat, Anoop (May 4, 2005). "Tetsuya Nomura on Final Fantasy VII". IGN. Archived from the original on November 2, 2012. Retrieved July 22, 2010. ^ Marrow, Mark (May 30, 2006). "Crisis Core: Final Fantasy VII to be 100 hours long". PALGN. Archived from the original on December 27, 2013. Retrieved July 25, 2010. ^ "Jumpa Festa 2007 - Crisis Core: Final Fantasy VII". Square Enix. 2006. Archived from the original on December 3, 2006. Retrieved November 30, 2006. ^ Gann, Patrick (April 5, 2006). "Crisis Core -Final Fantasy VII- OST". RPGFan. Archived from the original on July 29, 2008. Retrieved July 29, 2008. ^ "Crisis Core Gets a Star". IGN. May 18, 2007. Archived from the original on October 26, 2012. Retrieved July 24, 2010. ^ "CLAP & LOVE / Why (通常盤)" (in Japanese). Warner Music Japan. Archived from the original on September 11, 2009. Retrieved July 5, 2010. ^ Boyes, Emma (September 22, 2007). "TGS '07: PSP tops Japan hardware charts". GameSpot. Retrieved July 24, 2010. ^ "Play.com (UK) : Crisis Core: Final Fantasy VII (Special Edition)". Play. Archived from the original on March 12, 2008. Retrieved March 17, 2008. ^ "Crisis Core: Final Fantasy VII Bundle (Europe)". Eurogamer. Archived from the original on December 15, 2014. Retrieved July 2, 2008. ^ "アルティマニアシリーズ　公式ページ | Square Enix Game Books Online" (in Japanese). Square Enix. Archived from the original on August 6, 2011. Retrieved March 12, 2014. ^ Final Fantasy VII 10th Anniversary Ultimania (Revised Edition) (in Japanese). Square-Enix. 2009. pp. 8–13. ISBN 978-4-7575-2560-3. ^ a b Malloc (September 5, 2007). "Famitsu reviews Final Fantasy VII: Crisis Core". MaxConsole.net. Archived from the original on March 12, 2009. Retrieved September 7, 2007. ^ a b "Final Fantasy VII: Crisis Core Review". Computer and Video Games. November 28, 2007. Archived from the original on February 13, 2015. Retrieved August 11, 2009. ^ a b "Crisis Adverted: Final Fantasy Shines on the PSP!". GamePro. Archived from the original on 2008-08-27. Retrieved February 14, 2009. ^ a b Glasser, AJ (March 19, 2008). "Crisis Core: Final Fantasy VII review". GamesRadar. Archived from the original on October 10, 2012. Retrieved July 25, 2010. ^ a b "Crisis Core: Final Fantasy VII for PSP Review". GameSpot. Archived from the original on January 25, 2014. Retrieved February 13, 2009. ^ a b "Game Trailers: Crisis Core: Final Fantasy VII". GameTrailers. Archived from the original on September 28, 2012. Retrieved July 24, 2010. ^ a b D.F. Smith (March 25, 2008). "X-Play reviews Crisis Core: Final Fantasy VII". G4tv.com. Archived from the original on October 16, 2012. Retrieved March 25, 2008. ^ a b Parish, Jeremy (March 19, 2008). "Crisis Core: Final Fantasy VII (PSP)". 1UP.com. Archived from the original on 2016-09-21. Retrieved July 16, 2010. ^ a b Villoria, Gerald (March 19, 2008). "GameSpy: Crisis Core: Final Fantasy VII". GameSpy. Archived from the original on July 14, 2010. Retrieved July 24, 2010. ^ a b Simon, Parkin (June 23, 2008). "Crisis Core - Final Fantasy VII Review (PSP), page 2". Eurogamer. Archived from the original on October 8, 2012. Retrieved August 17, 2009. ^ a b Yin Poole, Wesley (June 23, 2008). "Crisis Core - FFVII Review". VideoGamer.com. Archived from the original on July 17, 2011. Retrieved August 26, 2010. ^ a b Ellis, Kimberley (June 24, 2008). "PALGN: Crisis Core: Final Fantasy VII". PALGN. Archived from the original on December 26, 2013. Retrieved July 24, 2010. ^ a b "Crisis Core: Final Fantasy VII". Metacritic. Archived from the original on August 24, 2010. Retrieved February 14, 2009. ^ Roberts, Samuel. "Crisis Core: Final Fantasy VII – my game of the year". Play. Archived from the original on July 19, 2011. Retrieved September 11, 2010. ^ "X-Play rereviews Crisis Core: Final Fantasy VII". G4tv.com. April 1, 2008. Archived from the original on 2008-07-04. Retrieved April 1, 2008. ^ "The Top 25 PSP Games of All Time". IGN. p. 4. Archived from the original on September 1, 2012. Retrieved July 23, 2010. ^ "The Top 10 PSP Stories of 2008". IGN. January 7, 2009. Archived from the original on November 2, 2012. Retrieved July 24, 2010. ^ "IGN PSP: Best RPG 2008". IGN. Archived from the original on March 11, 2012. Retrieved July 25, 2010. ^ "IGN PSP: Best Story 2008". IGN. Archived from the original on March 11, 2012. Retrieved July 25, 2010. ^ "Best Games of 2008". VideoGamer.com. December 24, 2008. Archived from the original on 2015-09-12. Retrieved August 26, 2010. ^ "Top 10 PlayStation exclusives of 2008". VideoGamer.com. December 27, 2008. Archived from the original on September 27, 2012. Retrieved August 26, 2010. ^ Glasser, AJ; Rudden, Dave (March 24, 2010). "Five games you should play on PSP before the console's lifecycle ends". GamePro. Archived from the original on 2010-08-12. Retrieved September 5, 2010. ^ Erickson, Trick (July 16, 2009). "The 31 Best PSP Games - 2009 Edition". GamePro. Archived from the original on 2010-08-09. Retrieved September 5, 2010. ^ Noble, McKinley; Shaw, Patrick (April 7, 2009). "Game Prequels: The 8 Greatest Video Game Prequels". GamePro. Archived from the original on 2010-10-24. Retrieved September 5, 2010. ^ 【アンケート結果発表】感動して泣いてしまったゲームはありますか? [(Survey results) Are There Emotional Games That Made You Cry?] (in Japanese). ASCII Media Works. October 15, 2008. Archived from the original on August 18, 2013. Retrieved May 7, 2012. ^ Romano, Sal (December 29, 2011). "Famitsu's top 20 list of tear-inducing games". Archived from the original on March 6, 2012. Retrieved February 24, 2012. ^ "FFVII: Crisis Core sells 350,000 copies on first day". Gamegrep.com. September 16, 2007. Archived from the original on October 16, 2007. Retrieved September 16, 2007. ^ Powell, Chris (November 22, 2007). "Crisis Core is Square's best selling game this year". Joystiq. Archived from the original on January 28, 2015. Retrieved November 22, 2007. ^ Snow, Jean (August 27, 2008). "PSP Sales Top 10 Million in Japan". Wired.com. Archived from the original on April 9, 2014. Retrieved August 30, 2008. ^ a b Sinclair, Brendan (April 17, 2008). "NPD: March game sales skyrocket 57 percent". GameSpot. Retrieved May 22, 2008. ^ Spenser (May 21, 2009). "What Square Enix Games Sold Well Last Year?". Siliconera. Archived from the original on May 23, 2009. Retrieved May 21, 2009. ^ Ingh".am, Tim (June 13, 2008). "Crisis Core 'biggest PSP release of 2008'". MCV. Archived from the original on July 14, 2011. Retrieved August 25, 2010. ^ Harker, Jonathon (August 29, 2008). "Square Enix's Crisis Core reigns supreme over PSP chart". MCV. Archived from the original on July 14, 2011. Retrieved August 25, 2010.